FROM TIME TO TIME, trailblazers come along to shake up our notions of what living healthy really means. Dr. Alejandro Junger is one of them. Five years ago, Dr. Alejandro Junger published CLEAN, in which he outlined a dietary program for restoring the body’s natural ability to heal itself through food as medicine. His revolutionary book soon became a 21 Day detox cleanse complete with shakes, supplements and eating guidelines highly revered by everyone from Marianne Williamson to Gwyneth Paltrow. 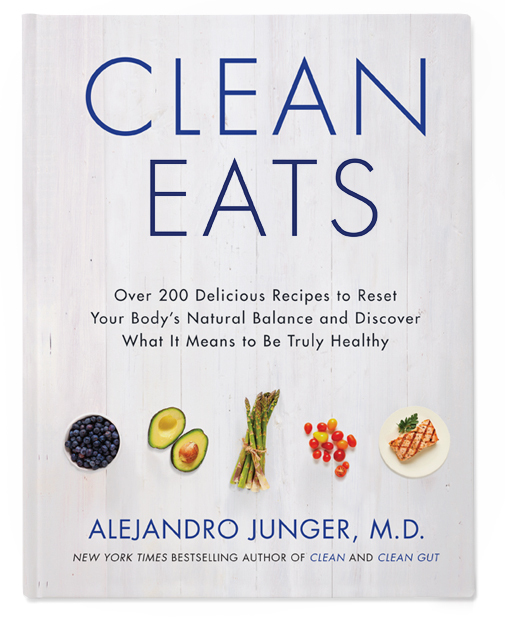 On April 29th, Dr. Junger releases his third book, CLEAN EATS documenting over 200 healthy recipes meant to rejuvenate and restore the body’s natural balance. With strategies, insights and tools for integrating truly healthful practices into our daily life, CLEAN EATS is destined to become a kitchen essential and lifestyle mainstay. 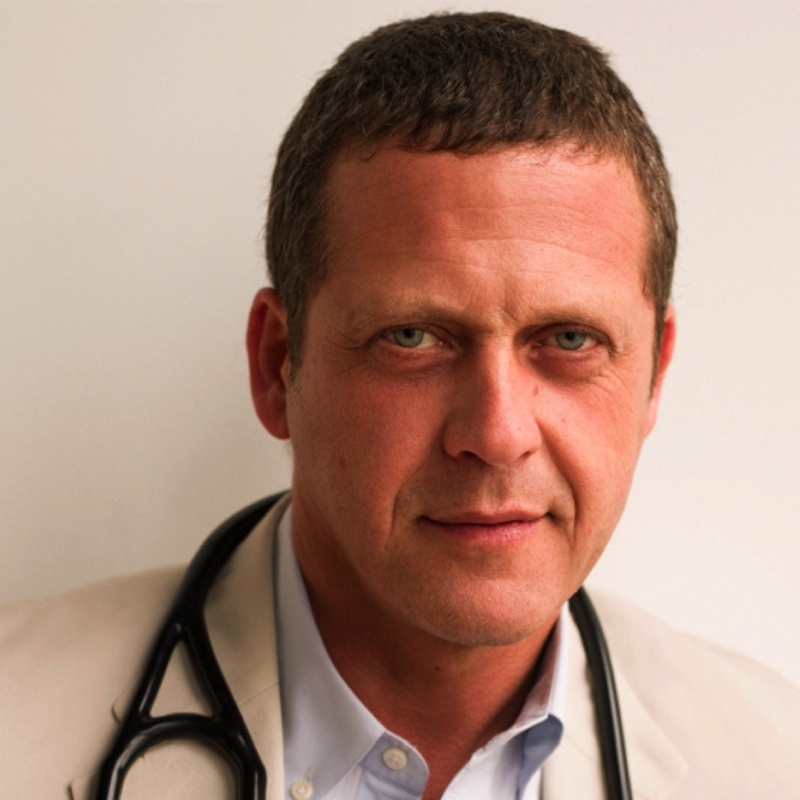 In the midst of his new book release, Dr. Junger took a moment to chat with bonberi on healing and detoxing for a longevity and health. Throughout your practice, what have you found the biggest issue your clients have to come to you with? I’ve seen so many different health challenges and conditions. The root treatment to all of them is very similar, consistently eat whole foods and omit eating the foods that cause damage. This provides a two pronged approach. We remove the foods that cause issues and we add in the foods that are nourishing and nutrient-dense. Getting on a whole foods based diet is one, if not, the most important step we can take to reduce chronic diseases and health issues later on. Clean Eats, is my attempt to answer that question. I’ve tried to create delicious recipes that remove the most common problem foods but is broad enough that you could really “eat clean” for the rest of your life. What is the key to sticking to a gut-friendly diet after completing one of your cleanses? This is a great question. No one has broken the code on how to keep people doing something consistently. Some methods work for some people, some work for others. After a cleanse, where we want to start is not with a restrictive diet that we follow because we were told to. The literature is pretty clear that these types of diets don’t work long term, and that when we try to “should” ourselves to follow something, we end up doing the opposite. This means that what is friendly to one person’s gut may be different than another person’s. Some people do great with one type of food, while for another person, that same food may mean a stomachache. Each person is different. We have to personalize as much as possible. This is why I recommend that a person start with a program like a cleanse first. A cleanse removes the most common Toxic Triggers, which is another name for foods that can cause inflammation, digestive issues and a host of other problems. After your program, you add these foods back in and notice how you respond to them. We call this the Reintroduction Process. The feedback you’re body gives about the foods will let you know if it is best to remove the food for a while or just reduce how often you eat it. So you can see this is less about “willpower” and more about discovery. Less about muscling ourselves to do something, and more about finding out how to eat that supports us feeling our best. For example, I notice how I start to feel “off” when I eat dairy. I get a runny nose, I notice more mucus and sometimes an upset stomach. My body is giving me the feedback right there. Now it is up to me to decide whether the taste of that food is worth all the symptoms. To me that is empowerment. I’ve discovered which foods work best but it is ultimately up to me to decide how to use that information. Probiotics play an important role in your cleanse, what is the benefit of taking a daily probiotic? Probiotic supplements add good bacteria back into the body. Good bacteria plays a crucial role in how well we digest our food and how much of the nutrients are absorbed from our food. The bacteria in our gut has also been shown to detoxify somewhere around 40% of the toxins we ingest. Add to this their helpful role in supporting the immune system and warding off infections and you’ve got an essential supplement for your cleanse. I recommend taking a probiotic that contains at least 30 billion micro-organisms during your cleanse and at least 15 billion daily or a few times a week. If there are 3 supplements everybody should be taking everyday, what should they be? I always focus on food first. Food is the primary way we get our nutrients. The food we eat is information our body uses to tell it how to function and how to express its genes. If we want to function at a high-level, then eating the highest quality and most nutrient-dense foods is the most important first step. So before we even talk about supplements, we have to acknowledge that food deserves the most attention. We recommend a diet rich in whole plants and animals while staying away from processed foods and sugar. That said, when quality supplements are used correctly and in combination with a clean diet, they have the power to transform our health. They work by helping us address deficiencies that can arise from our modern life. So let me give you my top three based on the major deficiencies I see in most of my patients. Very few people get enough sunshine on their bare skin. Vitamin D3 increases energy levels and immunity, boosts mood and balances hormones. Tip: When possible, focus on getting 20 minutes of direct sunlight on your bare skin daily. For maintenance take 2,000-4,000 IU a day. For deficiencies, work with your doctor. They will recommend dosages between 5,000-10,000 IU a day for a few weeks. Our food is less mineral rich today than it was fifty years ago. Even eating mostly whole foods, it can be challenging to get all the nutrients you need. A high-quality multivitamin replenishes essential vitamins and nutrients that may not be present in your diet, especially key minerals like magnesium. Tip: You can find this in tablet/capsule form or within a high-quality shake mix like Clean Essentials. These Beneficial bacteria help break down food, absorb nutrients, and boost immunity. Take at least 15 billion live organisms a day. Tip: Choose a probiotic that has the lactobacillus acidophilus strain along with other strains such as Bifidobacterium longum, lactobacillus rhamnosus, Bifidobacterium bifidum. Switch your type of probiotic every few months. What is your favorite recipe to make from CLEAN EATS? There are so many amazing one’s to choose from but my favorite is the one I created with my daughter Grace. The recipe is called Avocumber Rolls and they are sushi-like rolls made out of a hollowed out cucumber and avocado and then dressed with salt, lemon, braggs aminos, and any other spice I have around. Kids and adults love them and they are water rich and filling enough to satisfy almost anyone. In addition to eating a clean diet and taking the appropriate supplements, do you recommend other practices to aid detoxification? Today, we live in a time where we have access to lots of different detox and cleansing aids. It’s a good thing too because we need them more than ever. A few of my favorites are infrared saunas, colonics, and massage. On the mental and emotional front, what I like to call “quantum detoxification”, I like meditation and doing certain challenges like going “complaint-free” for 30 days. What 3 ingredients should everyone omit from their diet right away to aid detoxification? I’ll put it this way. The body is always detoxifying. Today, we are exposed to more toxic chemicals than ever before. Toxins are in the air we breathe, the water we drink, and the food we eat. They’re inside our cosmetics and body care products, in our paints and carpets, even our mattresses and clothing. So I look to reduce the amount of toxins we are taking in. 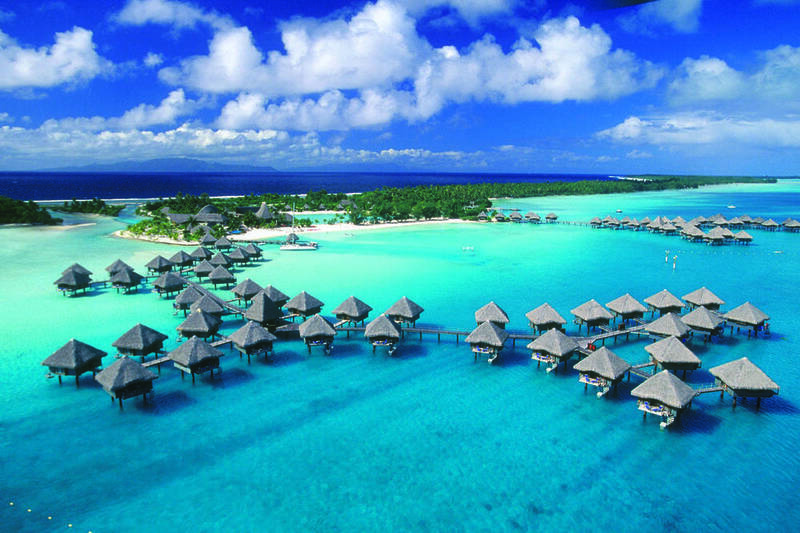 This will most dramatically reduce the burden on our detox organs. I recommend omitting foods that contain chemicals, preservatives, conservatives, coloring and smelling agents, and ingredients that you cannot pronounce. That leaves you with whole foods. Many of these foods both encourage detoxification and reduce our toxic exposure. What 3 ingredients should everyone include in their diet right away to aid detoxification? There are no magic foods out there that will do everything for you. All whole foods have important nutrients. I recommend that we keep it simple and eat whole foods minus our Toxic Triggers. That means, focus on fruit, veggies, organic meat and fish, eggs, nuts and seeds, rice, potatoes, etc. I’ve laid this out in our Clean For Life Guiding Principles. However there is one category of food that people tend not to eat enough of. That is the foods that fall in the blue/purple spectrum of color like berries, figs, plums, prunes, purple cabbage, and purple potatoes. Adding some of these foods in could help you get a broader range of nutrients. The first thing I drink/eat in the morning is… Green Smoothie. I like to add protein powder, banana, berries, and a handful of greens. My favorite way to sweat is… Infared Sauna. I have one in my garage, and I use it after working out. 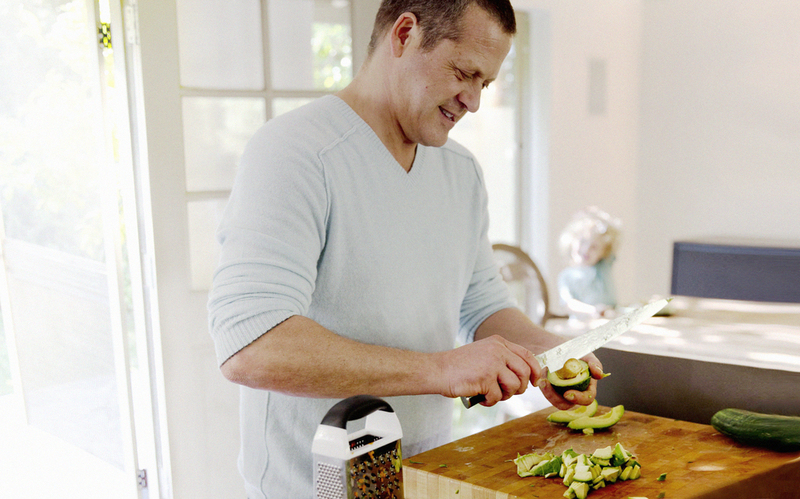 My go-to healthy snack is… “Avocumber roll” A snack I created with my daughter that’s in the clean eats cookbook. You hollow out a cucumber and stuff it with avocado. Cut it into sushi pieces and add some olive oil, braggs amino acids, and nutritional yeast on top. It’s easy, healthy, and surprisingly delicious. The most underrated healthy lifestyle adjustment is…meditation. It reduces stress and helps us deal with the constant “monkey mind”. I’m very passionate about this so I’ve created a guided meditation here. My favorite indulgence is…ice cream. When I’m craving ice cream and want to stay dairy free, I use this simple recipe: Add ice, frozen bananas, almond butter, honey, and a tablespoon of almond milk to the vitamix and blend. Use the tamper to keep it all moving until it turns to ice cream. My non-negotiable for the day is…time with my family. Vanessa is the owner and founder of ModelFit fitness studio. She formerly launched bonberi.com with Nicole Berrie. Enjoying the book very much and the approach to keeping healthy. The recipes so far have all been delicious!